New York City MEMENTO MUNDI ! Bell, Book and Candle ? 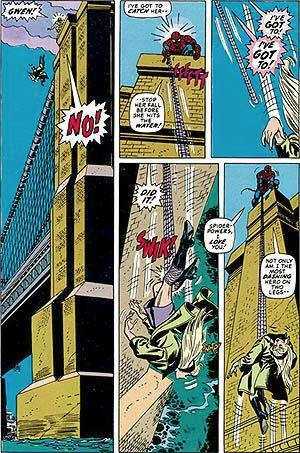 Gwen Stacy off the Brooklyn Bridge ?